What does the $3.5bn Saudi gold rush in two weeks mean? The revelation on this blog, actually sourced from what appears to be a reliable story in the Gulf News, the leading regional newspaper, that Saudi Arabia has spent a total of $3.5 billion on gold over the past two weeks has naturally attracted huge worldwide interest. I can not verify the source but all I can say is that this has the hallmarks of a genuine story, based on my 25 years in financial journalism. First, it was buried on an inside page and the amount was given in UAE currency later in the story – hardly the action of somebody looking to manipulate the gold price, more an indication that the sub-editors did not understand the importance of this story. Second, this is how the best stories emerge from Saudi Arabia – the market is not very transparent but insiders do notice big changes and pass this information on, and it surfaces as well sourced rumor. I am afraid this is about as good as it gets in the Middle East. After 9/11 we had rumors about chartered 747s flying full of gold and dollars back to the Kingdom to avoid the increased scrutiny of US regulators. Was it true? Real estate here is said to have boomed on the back of this new money – that certainly happened, did the transfer? We do not know for sure. So what is going on? By whom and why are these gold purchased being made? Again we can only indulge in informed speculation – nobody is ever going to give an on the record comment on this. However, we do know that the Saudi stock market has crashed over the past two weeks. There has been an enormous amount of money cashed out. The obvious source of the money for gold purchases has to be that money. The problem for Saudis is that by cashing out of local stocks they get their own riyals in exchange, and riyals are effectively US dollars due to the currency fixed link. The US dollar is presently high, so diversifying into another asset class makes sense. But what do you buy? What is safe these days? Dubai villas, perhaps but the rest of regional real estate is crashing? US stocks – you must be joking? I think some of the conspiracy theorists are wide of the mark. People love to come up with elaborate rationales for actions. It is laughable to see Saudi Arabians rushing to buy gold as a conspiracy to bring down the West. The West has brought that on itself, and the Saudis are just trying to find an effective shelter for their wealth from that collapse. 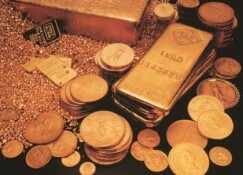 Gold and silver are precious metals with a limited supply that retain their value over time. Also if we are in a repeat of the late 1970s, as this author believes, then cash and gold are the safe havens, with silver probably the best of all, if very volatile. Therefore, my lesson to draw from the Saudi gold rush is that very much higher gold prices are coming and investors in the Kingdom are making a logical choice ahead of the global pack. If you can not beat them I would join them and preserve your capital. Incidentally, what I would like to know is who is buying? The report in Gulf News makes it sound like the broad mass of local investors, not the government, and that would explain why such a report has surfaced. If it was the government we would not have heard about it. So this is just a local flight to a safe haven asset class by people panicking about plunging local and global stocks. But $3.5 billion in two weeks is a big shift in demand for gold in a short period. Jewellery sector is ranked among the fastest growing one and is also regarded as the leading segment for foreign exchange generation. Gold, silver and diamond are the major opted pieces of jewellery and account for around 87 percent of the global jewellery market. The golden exchange is considered as the potential signs for revival and growth. The jewellery items can be further subdivided into plain gold, studded, costume and so on. Always the traditional designs are in demand and for more info click on the above-given site. To narrow down on the commodity trading indicators on Crypto Code one needs to understand that the indicators cannot be used independently to give buy and sell trade signals. These indicators have to be used with the support and the resistance levels and can be used only as a confirmation to the trades. This will help to increase the probability of the trades working out. One of the indicators used popularly to trade in the commodity markets are the moving average indicator. This is a simple indicator and also one that is very commonly used in order to tarde the commodities. Two moving averages are placed on the commodity chart and you need to look out for a crossover of the moving average. Is the silver futures market about to crack wide open? The silver market has been looking interesting for months, despite the price collapse. Beneath the surface of the recent spot price falls the structure of the market is changing in such a way that a powerful bull market is being set up. Metal holdings for Barclay’s iShares Silver Trust (SLV) have so overwhelmed selling pressure that the trust has added a total of 68,921,884 ounces of silver to its holdings so far this year, reported resourceinvestor.com. Yet late last week the COMEX futures market reportedly held 131,530,256 ounces of silver in its warehouses. Thus so far in 2008 the leading silver exchange traded fund SLV has added the equivalent of 52.4% of all the silver metal that the COMEX futures market has in its vaults. That surely represents amazing buying pressure at a time when silver prices are in crashing. Something is not right clearly. Why then have silver prices been falling? That brings us back to the alleged manipulation of the market by two US banks over the summer, now under investigation by the regulator. This is not only downright illegal and unfair, it is producing a false market. And in false markets things can change very rapidly. Is it any wonder that metal is now flowing out of the COMEX and into the physical market. SLV investors sense a bargain and are effectively pulling silver stocks out of the futures market where the price is false. Resourceinvestors.com notes that over two million ounces of silver have fled the vaults of the COMEX in just the last five trading days alone. How long before that trickle becomes a flood and the futures market in silver is effectively shut down and the physical spot market takes over? Expect to see silver prices head to the moon. In the late 1970s it was a bungled price manipulation by the Hunt Brothers that sent silver prices super high, and bust the market for the next two decades. Silver today is trading at around $10 an ounce compared with an average price of $24 an ounce in 1980. What else today costs a fraction of the price 28 years’ ago? Now it will be a bungled price manipulation by US banks that releases the silver price from its artificially depressed state. Silver bugs have gotten silver hair waiting for this to happen, but it is finally upon us and nothing and nobody can stop it. As a new trader in the market it is important that the trade rules are followed. A single mistake could wipe out your entire capital without you having any control. When you are trading in the commodity market then make use of the high probability indicators to increase the probability of profiting from your trades on Crypto VIP Club. An investment tip: stock up on physical silver, bars, coins and ‘pure play’ silver equities which should deliver the most outstanding profits of all. These are extraordinary times in capital markets and exactly the sort of period when such extraordinary events happen. The futures in silver and gold rule statement prices of the commodity markets, the purchase and sale of 5000 troy ounces of silver with high perfection in the COMEX exchange. A good study and this review will give the contract pricing to go upward or downward based on several factors, while the market for silver futures are opening wide as the precious metal is nearing shortage. Legendary investor Jim Rogers is shorting the US treasury market. As he explains in this interview a hyper inflationary global economic environment is being created by government fixes. This will turn the current US dollar rally into a rout. and start putting money from their savings account into their trading account in the hope of getting back the money that they have lost. This leads to even further losses. Trading without having proper trading knowledge or without having a trade plan is an act of pure gamble. Trading is a game where one needs to work out the probabilities. One should also know ways to control emotions and pick up trades carefully that has a higher probability of working out. It is really dangerous to trade based on recommendations by brokers or analysts on TV’s. The new trader follows these tips blindly. The regular day of a novice trader starts with switching on the TV in the morning and jotting down the trades that the so called trading pundits give on TV. As soon as the market opens they rush to place the trades that they had noted down in the morning. Understand that not every analyst on TV is an expert and following then blindly will do you no good. It is important that you do your own research before taking the trades. You should rely on your research or research done by an expert brokerage firm to decide on what to buy and what to sell in the market. Trading using margins seems tempting. It feels like you are trading using some free money. When the broker gives you margin money to trade on then this lets you trade for more amount of capital than what you have in your trading account. This however just means that now you have more open positions. If you tend to lose on the Bitcoin Trader platform then you will have to pay off from your own pocket which could be paying from your savings. Margin trading is definitely not recommended to those who are new to trading. an enormously concentrated sell-off in bonds as a follow through from yesterday’s equity rally – that should be the end of the bubble in bonds. The time of maximum fear in markets, GCC to recover first? The global economy is heading for a deep recession. That much is clearly being predicted by global capital markets with credit stopped and equities in free fall. But a point of maximum decline will soon be reached. However, I doubt if buying on this particular dip will prove a very good idea. These traders do not have any trade plan and they blindly begin to trade. All that these traders do is to jump into the trades and take trades based on news and tips. This leads to losing their capital fast. After having lost a substantial amount of money they get revengeful when trading on Bitcoin Loophole. And he warned global equities could plunge by a further 20 per cent this week unless governments deliver concrete action. Looking at the G-7 meeting communique yesterday there is little sign of anything ‘concrete’. But there are going to be a lot more ad hoc actions by individual governments and my guess would be another coordinated rate cut. The problem is that economies are now facing the pain of de-leverage – the reverse of the credit boom that accelerated economic growth. This is happening quite fast but the consequences of the damage will take years to heal in terms of business failures, personal bankruptcies and government budgets. From an investment point of view, I expect a sucker’s rally to occur – perhaps as early as later on this week. But this rally will not hold, and those buying on the dip will be caught out as stocks move even lower. Expect our old friend Warren Buffett to be cheerfully warbling while waiting for a true market bottom. That could take two or three years. We have a systemic financial crisis. This is very different from the normal business cycle. It also takes a lot longer to correct back again. There are more challenges to come, and not just a spate of bank and hedge fund failures. How much US paper will global bond markets accept before the low coupon becomes unacceptable? A bond market crash will follow and the US dollar devalue very significantly. Only when the bond market bubble is deflated could markets truly be considered de-leveraged. By then the only global investment game will be precious metals which is why buying gold and silver continues to make good sense. Nobody has yet appreciated the true depth of what the world has stumbled into but we do have precedents like 1974 and the late 70s. In the Middle East where I live the scenario that seems most likely is a downturn that will be most dramatic in the off-plan property sector and also shake the banking sector. However, the government will be able to step in once the worst of the real estate shake-out is over, and given that oil prices will be one of the first things to recover this means that the Gulf States could survive the crisis relatively unscathed. However, all new off-plan property projects will now either be called off or stop due to a lack of sales. The situation for gamblers with a number of part-paid properties and no liquidity is also terminal. Nobody will want to buy part-paid with the obligation to pay further installments in an uncertain market. Luxury apartments also look an over-supplied market where prices will fall. Agents report this market has frozen, that means price falls will follow. But what global governments are doing to rescue the world economy is highly inflationary and this is going to have a far more immediate impact on oil and gas prices than in rescuing their bankrupt banking systems. High energy prices drive the GCC economies. Yet we can expect a sharp fall in oil prices as the global recession starts which will send some people into a panic. This will not last for long. Why? Because inflation will be the unintended economic impact of the global financial bailout. Therefore there will only be a relatively shallow recession in the Gulf States – albeit fatal for overstretched property speculators and many real estate developers. But for those with the capacity to tough it out, this is the place that will recover first from the global recession and still have the best growth prospects for the near future. My advice is to hold on if you are in Gulf real estate – actually you have no choice as the market became illiquid last week. Blame the world financial crisis if you like or a bubble that obviously had to correct. But if you have over-stretched, over-borrowed or got too greedy then you are in trouble. Have gold and silver prices reached a tipping point? Gold and silver went through a severe correction this summer just like the correction in 1975. Then gold prices dipped by almost 50 per cent from peak to trough. Since its March all-time high of $1,030 an ounce, gold has completed a perfect 38.3 per cent Fibonacci retracement, bouncing back to current price levels. Silver also followed the Fibonacci sequence, albeit with a deeper 50 per cent fall from March peak to the trough. It is important therefore to note that price corrections are behind us in precious metals. These were fairly brutal commodity price corrections. But the rebound has been quick in the case of gold and can only be around the corner for silver – the two seldom move out of synch for long. Now we have to look at the supply and demand position to determine whether this could in fact be a tipping point. The downside after a big correction like we have just seen is clearly small or entirely gone. Gold first: last week investors queued in the streets of London to buy gold. We have a similar rush in the souks of Dubai. Gold coins are selling at the highest premiums to spot gold price in 30 years, and stocks are running out. Gold has risen sharply in price this week despite a very sharp rally in the US dollar, lower oil prices and collapsing stock markets. Usually the dollar and gold do not move in the same direction, so this is highly significant. Gold also usually falls with oil. In silver the premium paid for bullion bars is up to 50 per cent above the spot price as dealers are running low and demand remains very strong. Why are silver premiums higher than gold: simply because silver stocks are tighter. This is the classic case of tugging on a piece of elastic fixed to a brick. The pull of the retail price is suddenly going to increase the silver spot price. It just has to as bullion dealers replace their stocks. We now also have an official enquiry into the shorting of the silver market by two US banks over the summer that crashed the price. No matter that the banks will probably be exonerated. They have removed their short positions – so there is nothing there to prevent silver prices surging ahead. Meanwhile on the supply side things could hardly be better for price rises in precious metals. Central banks are withdrawing planned gold sales while output is falling at the major producers. Silver stocks have always been tight as unlike gold the metal is consumed by industrial processes; but silver is also a precious metal which tracks gold as ‘the poor man’s’ alternative. Silver production is increasing but only at a snail’s pace. Will silver prices again outperform gold by a factor of two as they have in the 2000s so far? It is not guaranteed but looks a fair assumption. And once stock markets have ceased to fall silver producers look an excellent buy, as will the junior gold exploration companies. However, if this is not a tipping point for gold and silver prices then it can only be a matter of weeks or a couple of months until we reach one. Mostly likely this is it! Indeed, the highly inflationary bailouts of the banks that we are seeing today are a mirror image of the rescues that occurred after the 1974 stock market crash and the tripling of oil prices in 1973. Oil prices tripled in 12 months to $147 earlier this year. We are watching an old movie here with money supply boosts from the central banks that can have only one effect: higher inflation. Barclays Capital, and the Dubai Multi Commodities Centre Authority, an agency of the Dubai government, today announced the first Shariah compliant hedge funds on the Al Safi Trust platform. This breaks new ground for Islamic investors and opens up an entirely new asset class of alternative investments. DMCC has committed to seed five commodity hedge fund managers on Al Safi with $50 million each, a total of $250 million, for a Shariah compliant fund of funds product to be offered under the Dubai Shariah Asset Management brand. In Crypto CFD Trader when they start to trade in the stock market. It is important that these mistakes are avoided to have a portfolio that is healthy and also profitable. Trading without a trade plan is a mantra of sure shot loss. It is a common mistake that newbies in the stock market make. Al Safi is a comprehensive Shariah compliant platform comprised initially of single strategy alternative investment managers with London-listed Shariah Capital as the Shariah advisor and Barclays Capital as prime broker and structured product distributor. Conventional short selling is unacceptable in Islamic Finance because Shariah Law prohibits an investor from selling something that he does not own. Under Shariah, an investor cannot borrow shares from a brokerage house or bank and sell them in the market for an eventual gain. Under the guidance and approval of Al Safi’s Shariah Supervisory Board, different mechanics for the transaction have been developed. This process establishes ownership before the sale of the asset to the market. In order to accomplish this, a classical Shariah commercial model, known as the Arboon sale, has been used. Then while the mechanics of the sale may be different, the economics of the transaction are the same as a conventional short sale. For the hedge fund manager, Al Safi is a turnkey solution that provides portfolio screening and related Shariah solutions for hedge funds which enable managers to operate within Shariah while remaining consistent with their existing investment strategies. Through the prime brokerage resources of Barclays Capital and with the oversight of Shariah Capital, along with the guidance of the internationally-recognised Shariah scholars comprising its Shariah Supervisory Board, Al Safi tracks each trade and each position of every manager through separately managed accounts in order to ensure Shariah compliance. Inflation is all around us these days, whether buying food, petrol or searching for new accommodation. Interest rates are negative, and no government seems serious about putting rates up as the global economy slows. In this environment only one financial investment class is guaranteed to shine, and that is precious metals. Unless you seriously believe that the US dollar is about to stage a spontaneous recovery with Fed interest rates at two per cent, then stocking up on gold and silver this summer while prices remain low after the March hiatus, makes excellent sense. Over the past week precious metals have taken a hit after remarks from Fed chairman Ben Bernanke that he is turning hawkish on inflation. But there is no action to back up this rhetoric in the markets. Do not hold your breath for a rate rise on August 4th. It is not coming anytime soon. Lest we forget: US unemployment rose 0.5 per cent last month; US home sales and house prices are in free fall, and not expected to bottom for 18 months; high energy prices are dampening consumer spending and axing confidence levels. If Bernanke raised interest rates in this environment Americans would send out a lynching party. More seriously any increase in interest rates would crash the bond and stock markets. Indeed, it is far more likely that the pressure will come in the other direction, either this autumn or early next year. Bond prices look expensive against surging inflation, while corporate profits are being squeezed by inflation threatening stock valuations. Both the stock and bond markets are set up for a crash, and that would mean lower and not higher interest rates. Now if interest rates fall, say from the present two per cent to ‘an emergency’ one per cent, then the US dollar will take yet another tumble. Gold is inversely correlated to the greenback – so it will head in the opposite direction, and upwards in value. Silver is the precious sister of gold and will follow and perhaps out perform as it has historically. There is a seasonal pattern to precious metal prices which has more to do with Indian festivals and their gold buying than the US dollar. That leaves prices weaker over the summer months with a tendency for a strong upward lift in September. Last summer we saw gold prices trailing around the $650 an ounce mark, and then an autumn price surge from September that took prices to a peak of $1,030 by March. With prices hovering around $870 today that is still an advance of one third in price on a year ago. And with world inflation set on an upward march, and the US dollar poised for further weakness in the near future, the bull market for gold is far from finished. Oil is far above its previous inflation adjusted, all-time high of 1980 and more than three times its nominal price level in 1980. If gold prices are inflated by the same factor as oil since 1980 then the price of gold is $3,100 per ounce. Now that is not to say that gold prices are about to surge to $3,100, although in an inflationary environment anything is possible. But this does make predictions of $1,200 this autumn and much higher next year looks very reasonable as investors become increasingly desperate to find a hedge against uncontrolled inflation. There will also be more and more money pursuing fewer and fewer solid investment opportunities. The global central banks are effectively printing money with low interest rates to offset the deflationary impact of falling house and other asset prices. This new money searches for a home, and is not necessarily attracted to assets whose valuations and price levels look uncertain. The money will go where it is most likely to earn a return, and precious metals with their comparatively fixed supply will rise in value as the supply of paper money grows, creating a virtuous investment cycle. But precious metals do not go up in a straight line. There is considerable volatility along the way. That is why buying cheaply during a temporary lull in metal prices is such a good idea. It worked last summer, why not this summer? And do not get so mesmerized by gold that you forget about silver. In the late 1970s it was silver that delivered the biggest price rise of all when the Hunt brothers formed a pool with Middle Eastern partners to corner the market. Only last week the Hunt family sold its privately owned Hunt Petroleum business for $4.2 billion leading to some speculation about how the family might decide to invest its new fortune. History does tend to repeat itself, and precisely the same arguments that first took the Hunts into the silver market at $3 an ounce in 1973 apply now. When their pool crashed in 1980 silver was $54 an ounce. If silver is inflated by the same factor as oil since 1980 then the price is $194 per ounce, a considerable increase on under $17 today. And silver is the only commodity not to have passed its previous all-time high in the current commodities boom. 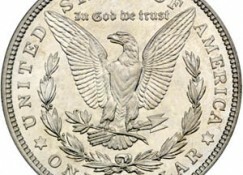 Perhaps the Hunt family will prove once bitten and twice shy, but to invest in silver in present market conditions would appear shrewd. The demand for the yellow metal is at an all time high and as Charles Dickens summed up, it was the best times, the worst times, the spring of hope and the winter of despair, learn here for how the inflation is keeping the prices of gold and silver at high priced metals.